Born in Bradford in July 1984 Gareth Gates always knew he wanted to be a performer. It’s well known as a young boy he was head chorister for Bradford Cathedral Choir and performed solo for the Queen when she visited in 1997. What’s less well known is that he has a natural gift for music and as well as being a faultless vocalist he is an accomplished musician, playing piano and guitar to the highest standard. In 2002 Gareth was famously runner up to Will Young in the UK’s first Pop Idol. Instead of disappearing into ‘Pop Oblivion’ he carved out a very successful career for himself, having hits and travelling worldwide. In the UK alone Gareth sold 3.5 million records, released 3 albums and had 4 UK number 1 singles. He won record of the year in 2002 and with that has the second best selling single of the ‘noughties’ with Unchained Melody. Gareth was only beaten for best selling single of the decade by his fellow competitor, that year’s winner Will Young with the song Evergreen. Outside of the UK Gareth was awarded Best International Male in 2003/4 from MTV Asia, MTV China and MTV Taiwan. During this time it is well documented that Gareth continued to struggle with his speech – something that had been a challenge for him for many years and stuck in people’s minds with the now infamous Pop Idol audition. He decided to take positive action and enrolled on the McGuire Programme. This, it’s fair to say changed his life both personally and professionally. From being unable to partake in a pre-recorded interview without agonising discomfort he appeared on the Jonathan Ross show in 2007. It was here he showed the charming and fun personality, that before the speech therapy programme wouldn’t have been possible. Gareth has since trained and is a qualified course instructor – but still has to work on his speech on a daily basis. In 2008 Gareth donned the sequins and lycra every Sunday night to take part in the hit ITV1 TV show Dancing on Ice, in front of millions of TV viewers, coming fourth in the competition. Not bad for someone who couldn’t even stand up on the ice at the beginning! Post Dancing on Ice, Gareth decided to change musical direction and accepted the lead role in ‘Joseph And His Amazing Technicolor Dreamcoat’. It was a role he first played at the tender age of 8 in school and proved to be an ideal start to his theatrical career. During this time Gareth also tackled his first pantomime as Prince Charming in Cinderella at the Wimbledon theatre, alongside Alistair McGowan and Joanna Paige. In 2009 Gareth auditioned and impressed Sir Cameron Mackintosh, which lead to the role of Marius, in the 25th anniversary tour of Les Miserables. This mammoth 10-month tour played to sell out audiences as far afield as Manchester, Norwich, Birmingham, Edinburgh, Paris, Bristol and Southampton. Ending at the Barbican in London with 22 special performances at the show’s original home (14 September – 2nd October 2010). This brand new production featured new direction, staging and arrangement – and Gareth wowed audiences up and down the country and a new cast recording was also made. Following on from this successful stint Cameron Mackintosh asked Gareth to resume the role in the West End, which finished in June 2011. In the autumn of 2011 Gareth spent time planning and filming a documentary that showed the struggle faced by people with a stammer. 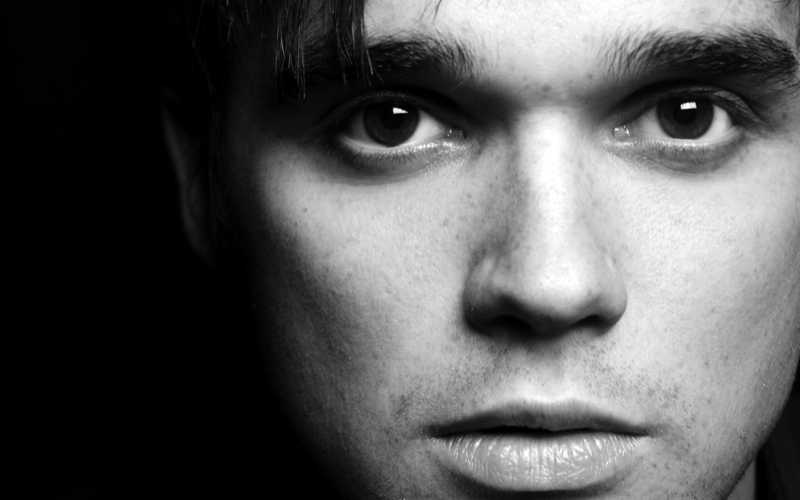 Gareth Gates - ‘Stop My Stutter’; Top production company IWC made ‘Stop My Stutter’ for BBC3. This emotional journey followed Gareth as he taught young people with a stammer the McGuire Technique, in a bid to change their lives. Gareth, now a qualified teacher, spent 4 days teaching these students and learning about their individual goals and challenges. The film also follows up their stories when they return to their everyday routines. It was a life changing experience for each and every one of them. He also talked about how this affliction shaped his own life and made him who he is today (Monday 27th February 2012 at 9pm on BBC3). In June 2012 Gareth took on his most challenging role to date, one that contained more speech than he has had to tackle before. He played the have-it-all rich kid Eddie in the brand new musical Loserville at West Yorkshire Playhouse – doubly enjoyable as he got to work in his home county and spend time with his family. Whilst this role was coming to an end, Gareth was already rehearsing for Legally Blonde, as he was to join a touring production that was going to play out the last 3 months of the hugely successful show in the UK. This would be the last chance to play the role of Warner. The show finished at the New Wimbledon Theatre on the 6th October. The last 18 months have seen Gareth preview newly self-penned music at a number of acoustic gigs across the UK. In addition to this, he toured with a new production of Boogie Nights with The Osmonds – and even sung Puppy Love to delighted crowds! The Christmas of 2013/14 was extremely busy for Gareth. He performed twice daily as the Prince in Cinderella in St Albans whilst also training hard for his return to the ice in Dancing on Ice All Stars. This finale of the hit TV show sees a selection of show winners and favourites back competing for the Ultimate prize. As if this wasn’t enough to keep him busy, he also signed up for Series 2 of the Big Reunion – with a twist! As a way of bringing solo artists into the show, the producers decided to put a band together. Having spent the last year writing new music and keen to get back into the industry he took a sabbatical from 6 years ago – and having never been in a band before, Gareth decided to sign up. 5th Story were born. Gareth is currently splitting his time between daily training sessions on the ice and rehearsal studios with the band. 2014 is certainly going to be an interesting year for Gareth Gates!